Jasmine and Chelsea are best friends on a mission - they're sick of the way women are treated even at their progressive NYC high school, so they decide to start a Women's Rights Club. They post their work online - poems, essays, videos of Chelsea performing her poetry, and Jasmine's response to the racial microaggressions she experiences - and soon they go viral. But with such positive support, the club is also targeted by trolls. When things escalate in real life, the principal shuts the club down. Not willing to be silenced, Jasmine and Chelsea will risk everything for their voices - and those of other young women - to be heard. I'm a month away from starting my junior year of high school, and I just found out my father only has four months to live. I don't really hear all of what Mom and Dad are saying. Just the important words like "cancer" and "out of remission" and "stage four." Chelsea is the first person I call. We've been friends since elementary school. I know once I tell her, she'll tell Nadine and Isaac, which is good because I only want to say it once. One of the things I enjoyed most about Watch Us Rise is that the characters are bright, dynamic and complex. [The authors] approach this dual narrative from points of view that are unique, making the voices of Jasmine and Chelsea—who are also simultaneously similar and different in their marginalization—thoughtful and authentic. (Reviewed by Jamie Chornoby). The most important message is actually more subtle than the girls': by following their convictions, young women have the power to change the world for the better. It's a message, and a story, that any teen could benefit from and enjoy. Starred Review. 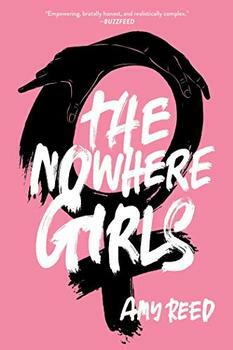 A highly needed work for the #MeToo movement...Watson and Hagan do not disappoint in this powerful story of two girls who take a stand against injustice while learning how to navigate a world that seeks to silence them. This stunning book is the story I've been waiting for my whole life; where girls rise up to claim their space with joy and power. An extraordinary story of two indomitable spirits. In Watch Us Rise by Renee Watson and Ellen Hagan, high school juniors Chelsea and Jasmine learn that "art is never just art," so they decide to "use art to make a statement, to create change." The girls experiment with multiple forms of activism, sometimes with guidance, and even misguidance, from teachers, mentors, community leaders, family and friends. When they connect with Leidy—a guardian of the anarchist, volunteer-run book store Word Up—they engage more deeply with nonviolent activism to enact thoughtful, targeted progress. 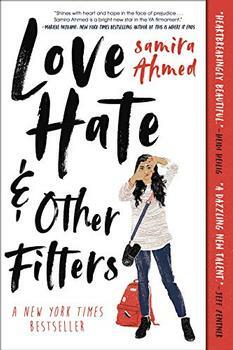 In this unforgettable debut, a Muslim teen copes with Islamophobia, cultural divides among peers and parents, and a reality she can neither explain nor escape.